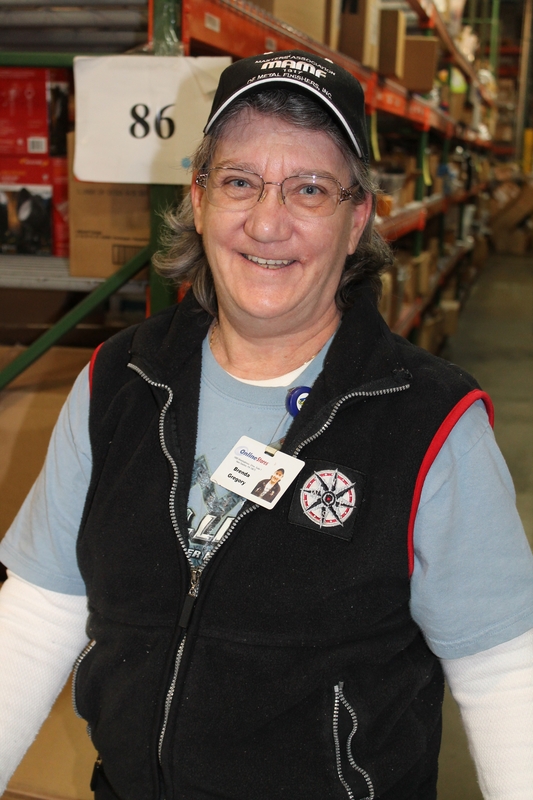 Our Warehouse Employee of the Month for March is awarded to Brenda Gregory. Brenda has been with Online Stores since April, 2012, as a Warehouse Associate. Prior to coming to Online Stores, Brenda worked for U.S. Steel as a Pusher/Operator and Door Coordinator for a total of 15 years! She had chosen to take a buy-out on pension, but decided she’d like to continue working and came to OLS. When not at work, Brenda spends much of her time in her West Newton area home working on puzzles and word games. She was nominated for the March Employee of the Month for her dedication toward accuracy in the receiving department. She has been working hard to ensure that returns are up-to-date and that items are being returned to stock in a timely fashion, thus eliminating problems for many of the other departments. Thank you, Brenda, and congratulations!